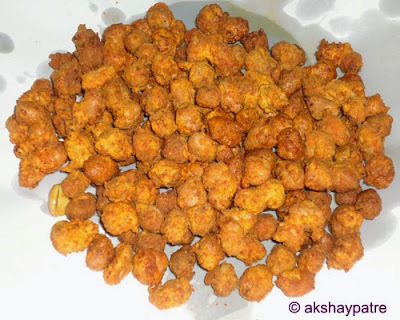 Fried peanuts or groundnuts recipe - As the name suggests, fried peanut is an Indian deep fried snack which can be served with tea, coffee or cold drink at any time of the day. It is rainy season. Kids stay at home after school. To meet the increased demand from kids for crunchy snacks, busy moms are looking forward for some easy snack recipes. One such snack is fried peanuts. This is a munching snack for kids while watching television or reading books. If you are a busy mother and want to make some easy and tasty snacks to munch, this is an ideal snack. The whole process of preparation and frying takes very less time. The reuse of oil used for deep frying is not recommended. 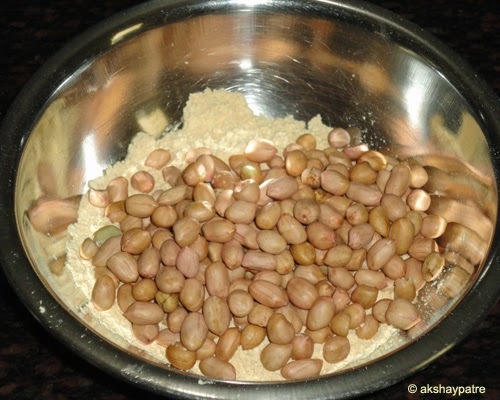 Hence, it is better to use limited oil for frying and fry the peanuts in batches. Handpick the peanuts, clean them and set aside. 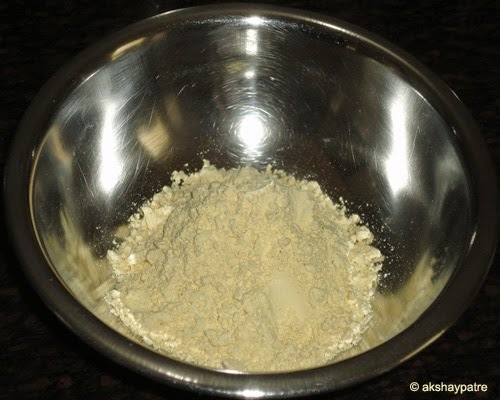 Put the gram flour in a large bowl. Add the chilli powder, amchur powder, ajwain and salt. Mix well. Add the peanuts and mix. Gradually add 4 tbsp of water to the besan and peanut mixture. Make sure that all the peanuts have a good coating. Heat 2 cups of oil in a frying pan. 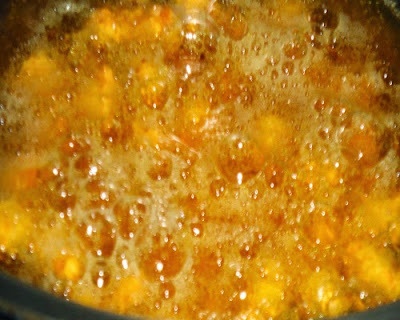 When the oil become hot, take out 2 tsp of oil and mix with the peanut mixture. Slowly slide the peanuts one by one. Fry them for 5-6 minutes on medium flame by rotating from all sides. 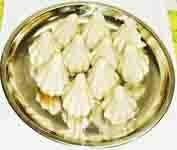 When the peanuts become golden brown in colour remove them with a slotted spoon and transfer on an absorbent paper. Fry all the peanuts in 4-5 batches. When the fried peanuts come to room temperature, store them in an airtight container. Serve with tea, coffee or choice of your drink. 1. Handpick the peanuts and set aside. 2. Put the besan in a large bowl. 3. Add the ajwain, besan, chilli powder and salt. 4. Mix till all the ingredients combine well. 5. Add the peanuts and mix. 6. Gradually add 4 tbsp of water and mix. All the peanuts have a good coating. 7. Heat oil in a small frying pan. Let the oil get well heated. Take 2 tsp of hot oil and mix with the peanuts mixture. Slide the peanuts one by one and deep fry until they are golden brown and crisp. I fried in 4 batches by taking 5 -6 minutes for each batch. 8. Remove the fried peanuts on an absorbent paper. When cools, store in an airtight container. 9. 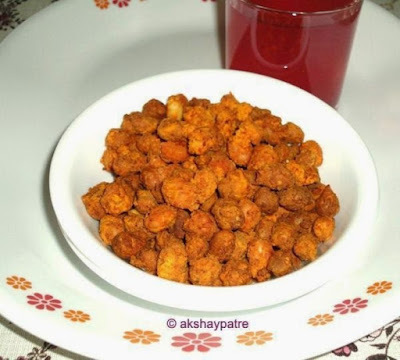 Serve fried peanuts with hot tea, coffee or choice of your drink. Lovely evening snack. Glad to follow you. 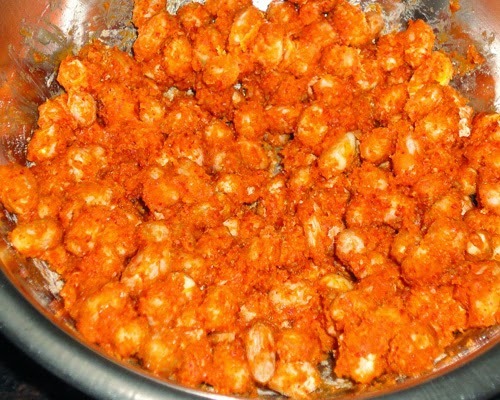 tempting and crispy fried peanuts. I love them, looks so yum!